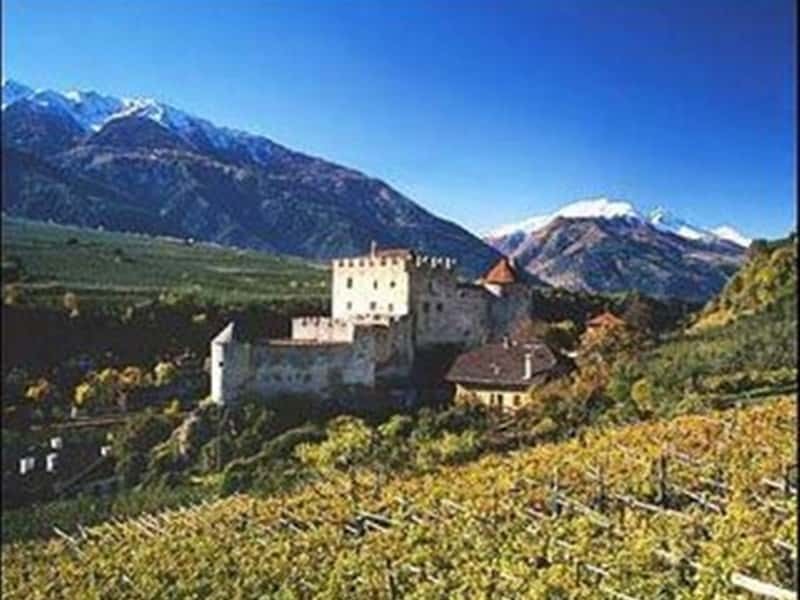 Located in the lower part of the Val Venosta, between Merano and Reschenpass, surrounded by green forests, vineyards and orchards, Castelbello-Ciardes (Kastelbell-Tschars in German) is town in the province of Bolzano, which has medieval origins, as evidenced by the archaeological finds in the area. The name "Castelbel", attested for the first time in 1286, has a meaning very close to the current name, while "Ciardes" has Roman origins. Near the town centre it is possible to admire traces of prehistoric settlements and along the former Via Claudia Augusta, built in 15 B.C. by General Drusus and finished in 47 A.D. by his son, the Emperor Claudius. The old Roman road, crossing the Alps, that connected the Roman Empire to the north, at present is not only a very popular bike path, but also a beautiful hiking trail. The town's history is inextricably linked to that of its castle, known by locals as Schloss Kastelbel. Mentioned for the first time in 1238, it was built by the Lords of Montalban. The castle had, over the centuries, several owners, until it was destroyed by a fire in 1825. In 1949, the castle in ruins, passed into the hands of the Italian State which had the structure restored. Also known for its traditional products, including famous fine wines (Chardonnay, Grenache, Blauburgunder and Gewürztraminer), Castelbello offers romantic walks through the farmlands and excursions between the natural beauties of the environment, as well as the opportunity for fishing and rafting on the waters of the Adige and the possibility to admire the snow that covers the entire region during the winter season. - more than 50 km of mountain paths, to the delight of lovers of trekking and long walks in the oxygenating open air in direct contact with the local environment. This town web page has been visited 16,781 times.